This is your Spa & Beach Club Day Pass experience, including a 60 Min Balinese or Aromatherapy massage, with Pool & Beach access. 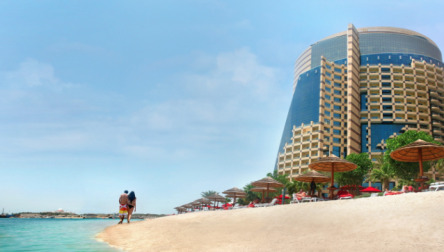 Escape to the Khalidiya Palace Rayhaan by Rotana, a 5-star family-resort with one of the biggest pools and 200 meters private beach in Abu Dhabi! Extensive outdoor and indoor facilities, water-sports activities (additional fee) and superb wellness facilities. *10% service charge, 6% tourism fee, 4% municipality fee and 5% VAT will be added at check-out. 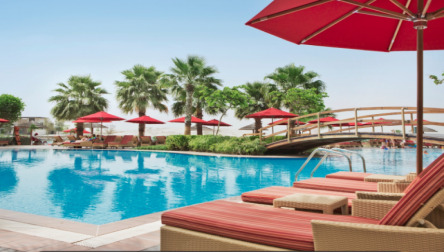 We hope you enjoy your Spa Day Pass at Khalidiya Palace Rayhaan by Rotana.This is your Spa & Beach Club Day Pass experience, including a 60 Min Balinese or Aromatherapy massage, with Pool & Beach access. 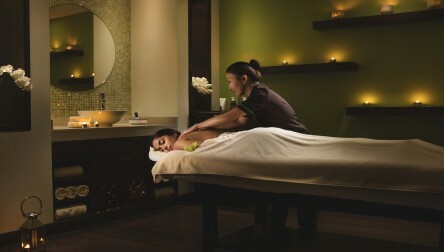 We hope you enjoy your Spa Day Pass at Khalidiya Palace Rayhaan by Rotana.